Alice Wilhoit A-Z weekend retreat February 11th-14th & April 15th-17th & July 22nd-24th. This February Retreat with Alice is a "Sweetheart of a Deal". Last chance to sign up--must call by NOON on Friday February 5th. (ONLY $135 for three nights and four days! This price includes lodging and teacher fees) We allow you to arrive early on Thursday for same price as our Friday arrival retreats-- just in case you want to leave Saturday night to spend Valentine's Day with your sweetie. Alice is a published author that teaches all over the United States. We are fortunate to have her in our area. Need help to finish or get motivated on one or more of your UFO's? Alice says this retreat is for you! Drag out those unfinished projects! You know, the ones you put away because you were stuck. Sign up for a retreat with Alice and get the help you need to complete those projects. Or just start something new. Alice has over 25 years experience as a teacher. She is an author, pattern designer and is very knowledgeable with appliqué, embroidery and crazy patchwork. Open retreat weekend March 11th-13th. Open enrollment Quilt Mercantile UFO retreat--join this retreat by yourself or with other friends. Currently we have room for 15 ladies in this retreat. Arrival is Thursday after 3 p.m. for $120 lodging fee. No project--just time to yourself to sew and make new quilting friends! 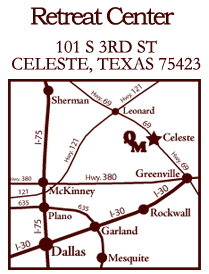 We are considering an open retreat weekend August 11th-14th---please let us know if you have interest in this date. Eileen Urbanek retreat April 11th-14th and/or August 25th-28th. Paper Piecing the Judy Niemeyer way--Eileen Urbanek. Eileen is well loved for her ability to teach skills to help with Judy's complex pattern. She is an international certified instructor for Judy. She also is very happy to help you with any of these quilting projects: Stack-n-Wack, One Block Wonder, Jacob's Ladder, String Quilts, and Wonderful One Fabric Quilts. Join these retreats for any of these projects! Jackie Brown Machine Quilting Retreat April 22nd-24th. The retreat is for domestic sewing machines and sit-down long arm units. Jackie will demonstrate multiple techniques. She is very excited to show domestic machine owners how to use long arm rulers with the new ruler feet we have available for most types of sewing machine (Janome and Elna we definitely have the ruler foot for your machine). Just featured on the cover of Nancy's Notions are the products recently developed by Sew Steady. 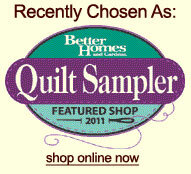 We are happy to help you purchase these items in the quilt store. It is SO COOL!!! June 2016--P3 Designs applique retreats. We are taking names for a backup list currently. The day class on June 16th will most likely have room for you to join. E-mail us if you are interested. Brenda Jeschke Embroidery Machine Retreats April 1st-3rd, June 17th-19th, September 23rd-25th & December 2nd-4th. Brenda would love to help you learn confidence with your embroidery machine. All machine brands welcome. Beginner to advanced welcome. October 2016--P3 Designs applique retreats. We are taking names for the backup list currently. Use the link below to visit retreat website for more information about any of these retreats.